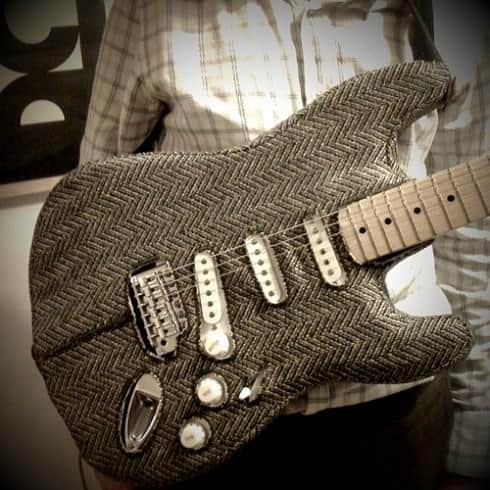 Felt Mistress made this creative tweed cover for a Stratocaster ! I can’t imagine that doesn’t mess with the SOUND coming from the guitar, but it looks nice! Ethan Groombridge and Craig Marshall whatcha thinkin?